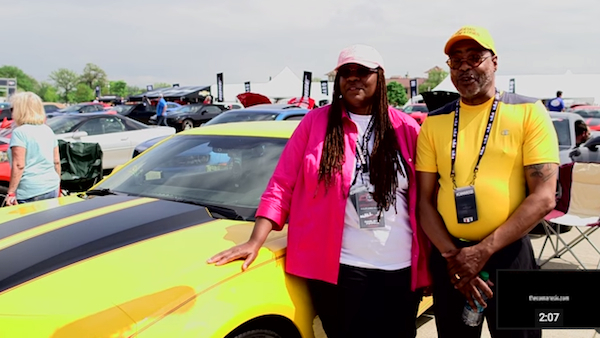 The 2016 Chevrolet Camaro reveal event this past weekend attracted thousands of diehard Camaro fans to Detroit’s Belle Isle park. There were Camaro fans of all types with different generations of Camaros from all over the United States and Canada. Each and every one of their bowtie badged pony cars was unique in its own way, but they all shared a similar unwavering love for the Camaro nameplate. Owners’ reasoning for loving the Camaro raised form being raised a Chevy person from birth, to how it looks and the attention it gets on the road. Hear their answers in the video below, and feel free to share your reasoning for loving or purchasing a Camaro in the comments.